One of the best-selling gospel artists has done it again by releasing his long-awaited album, titled Afrika Matlhomoleng. The album has 14 tracks, already on high rotation on most national and community radio stations with an interview done on 17 February 2013 on Thobela FM with more radio and tv stations targeted also. 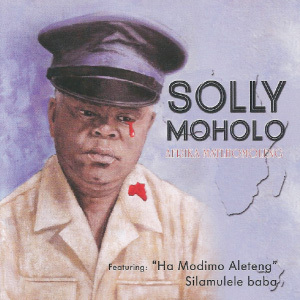 With Afrika Mahlomoleng getting airplay and a good response from the public, Solly Moholo promises to be an artist to be reckoned with in 2013 for the first time under his own company.